Home » vehicle graphics » Get REFLECTIVE! That's A Wrap! 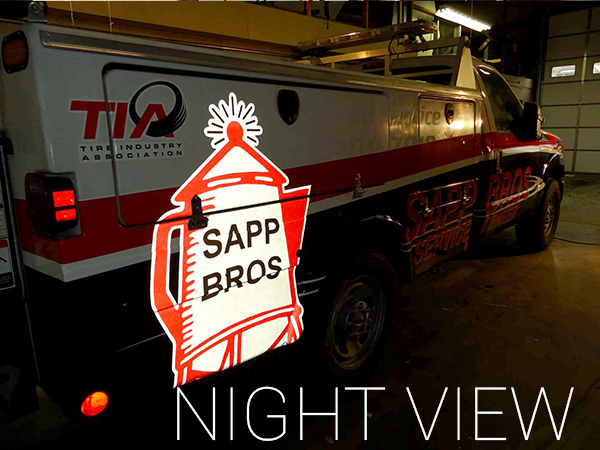 Sapp Bros. Harrisonville, MO Travel Center! Reflective vinyl wraps can be used in unique ways to create amazing looking vehicles that will turn heads! Perfect for night time driving, reflective wraps make your vehicle easier to be seen at night! Curzon Promotional Graphics offers full color vehicle wraps customized for any business need. 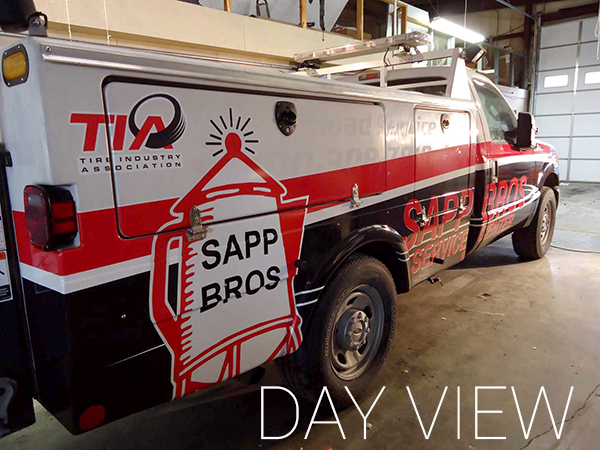 Our wraps can be placed on cars, trucks, buses, trailers, and much more! Turn your company vehicle into an advertising billboard on wheels! Wraps are not stationary, they go where you go. Exposing your message to a brand new group of consumers each and every day. Click Here To See More Wraps!